A growing group of young Catholic women are choosing to cover their heads in church. When former "America&apos;s Next Top Model" contestant Leah Darrow first encountered young women in her Catholic community putting lace veils on their heads when entering church, she was a little weirded out. Having returned to the faith after a mystical experience on a magazine photo shoot convinced her to leave modeling behind, Darrow was serious about Catholicism — but wary of a practice she considered outdated at best. "I was like, &apos;Is somebody making you do this? What&apos;s it about?&apos;" Darrow says over the phone. Since the practice of women covering their heads in Catholic worship spaces used to be the norm, but was largely abandoned by the &apos;60s, Darrow was uncertain as to what women covering their heads might signify in the 2010s. But the fact that the veil-wearing peers in question were "normal girls you could have a glass of wine with, but also very faithful" gave Darrow pause. "There was something attractive to me about the life that they lived and how they prayed," Darrow says. After researching more about the history and significance of veiling in the Catholic tradition, Darrow decided to try it herself. "I&apos;m definitely a girly girl, so wearing a pretty veil sounded kind of fun," she laughs. Though Darrow didn&apos;t start wearing a veil to mass every week, she did come to a new appreciation for the practice and now regularly brings a head covering on her visits to Rome, where she leads pilgrimages at least once a year. Her travels as a Catholic speaker and book author have convinced Darrow that veils are experiencing a renaissance amongst Catholic women — especially young American ones. "There&apos;s a new uprising in the Church of millennials who are actually wanting a more traditional take on their faith," she says. This poses a striking contrast to Protestant mega-churches that are leveraging streetwear and celebrity connections to stay relevant. Samantha Skinner, a high school science teacher in North Dakota, is one Catholic millennial interested in a return to tradition. Raised loosely Protestant but not a regular church attendee until she converted to Catholicism in college, Skinner began wearing a veil to mass every week before she&apos;d even completed the classes necessary to formalize her conversion. A conversation with a friend who worked in a "holy bookstore" convinced Skinner to try the practice for herself. "It just kind of resonated with me," she says on the phone. For Skinner, the appeal of veiling was initially an emotional one: It made her feel humbled and reverent, like removing a hat during the national anthem or at a funeral might, and made her more able to focus on prayer. Other young Catholics, like 24-year-old Ohio resident Forest Hempen, have chosen to adopt the veil after digging into the theological ramifications of the tradition. An aspiring theological speaker who gives talks on chastity to teens and works for a Catholic nonprofit in Cincinnati, Hempen became enamored with the veil through studying the theology of the body as articulated by her "holy crush" Pope John Paul II. To Hempen, chapel veils represent a whole range of things: a way to emulate the veil-wearing Virgin Mary, an experience of "authentic femininity" that sets women apart as specially blessed bearers of life and a reminder that she and all members of the church are to consider themselves brides in a symbolic marriage to Jesus, whom the Bible sometimes describes as a bridegroom. Hempen also echoes Skinner and Darrow&apos;s words about the connection veils have to both beauty and humility. While she acknowledges the seeming contradiction in claiming that the same garment can both elevate and bring low simultaneously, she sees the tension between the two as worth living with. "It&apos;s paradoxical; the best things in life are," Hempen says in a phone call. "It only can be pulled into perfect balance if you&apos;re in it for the right reasons and you have a relationship with God. Otherwise, it does turn into a &apos;look how flashy I am, or look how holy I am&apos; thing." Hempen, Skinner and Darrow all became acquainted with veiling by seeing it practiced or hearing about it through friends. 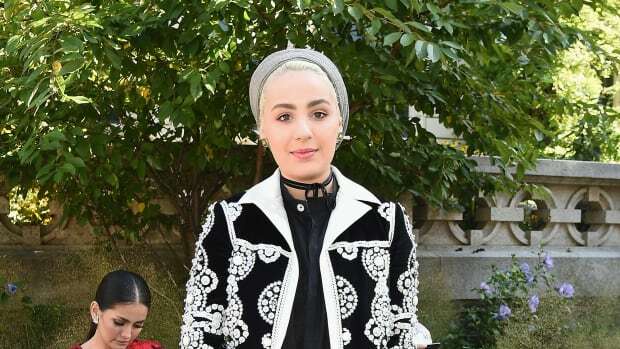 Their word-of-mouth introduction seems to be fairly typical, as the world of Catholic veil-wearers has yet to generate the level of online community and press that other religious fashion groups like hijab-wearing Muslims or "tzniut"-observing Jews have. "I haven&apos;t seen any [veils] here in NYC, really," she says via text message. But in the church she grew up in, Carney notes, "there were always a bunch of homeschooled kids and they would wear them." For proof that the veiling community is indeed growing and active outside of cities like New York, one need look no further than Veils by Lily. The mom-and-pop retailer started by Lily Wilson in 2010 has over 17,000 likes on Facebook and an engaged customer base that not only buys product, but also regularly shares the retailer&apos;s posts and sends in pictures and letters of thanks. Since its founding, Veils by Lily has grown from one homeschooling mother&apos;s side project into a full-time job for the founder and 11 employees. Soon, Wilson will open a brick-and-mortar retail space, which she believes will be the first store in America to focus on chapel veils. Wilson&apos;s vision for Veils by Lily was sparked by her own difficulty in finding veils that weren&apos;t "frumpy." "My mission was to get more women wearing these veils, and I think the way to do it is to make them actually beautiful," Wilson says on the phone. "It&apos;s not about veils. It&apos;s about God. The veil is a small tool that we can use to open our hearts to God more." Besides having her in-house team make veils and import a selection of styles from Europe, Wilson also uses Veils by Lily to provide education on the use, purpose and theological significance of veils through the brand&apos;s blog and social media. She believes that part of the reason millennial Catholics are more open to the idea of veiling is that they&apos;re operating without the older generations&apos; baggage that associated veiling with gendered inequality. "It&apos;s not about submission to men," she says. "It&apos;s about loving submission to God." Though convincing more Catholic women that wearing veils is a spiritual boon has obvious financial benefits for Wilson and her company, she&apos;s quick to assert that it&apos;s never been about the money. "We started this because we felt that it was something that was going to bring back reverence for the Eucharist," she says. "We&apos;ve never had sales goals and I don&apos;t think we ever will. Our business is built on trust that if God really wants us to do this, he will make it possible. And if he doesn&apos;t want us to do it, we don&apos;t mind shutting down." It doesn&apos;t look like that&apos;s something Wilson will have to worry about anytime soon. 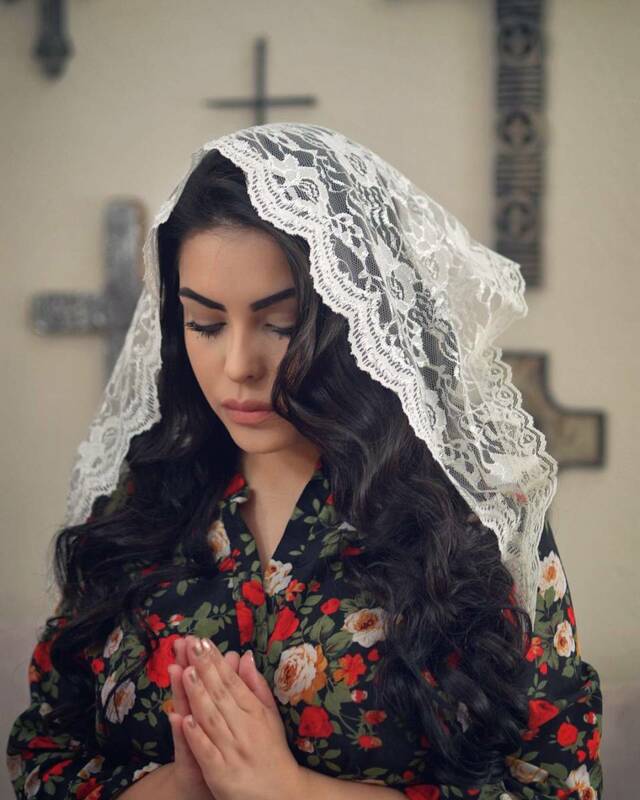 Even if veiling doesn&apos;t become the norm for Catholic women across the country the way it was in the &apos;50s, it&apos;s certainly gaining a level of critical mass. And if the reasoning behind the practice is articulated winningly, it&apos;s not likely to draw fierce ire from those who don&apos;t undertake it themselves. 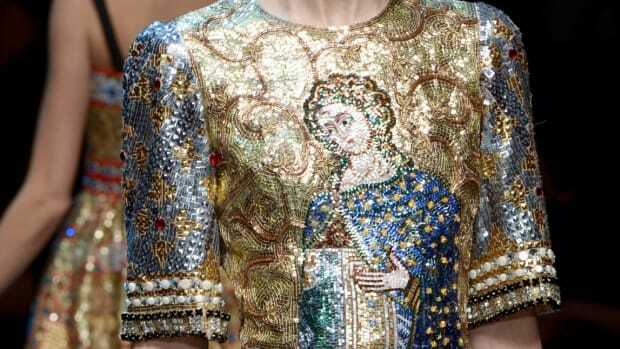 "After all," says Darrow, "there is something beautiful about how that piece of fashion speaks to faith and prayer life." 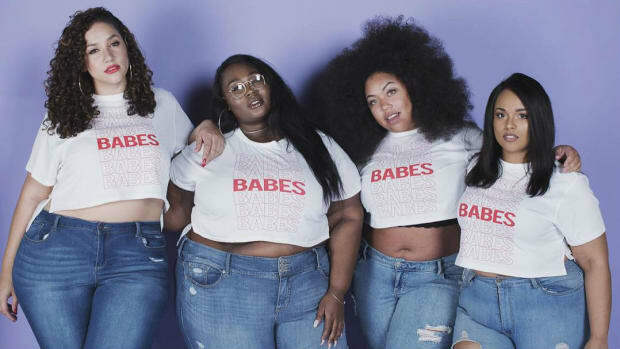 As influencers continue to have growing lucrative platforms and partnerships with brands, social responsibility can't be ignored. The accompanying exhibition will feature garments borrowed from the Vatican, as well as designer pieces informed by Catholic aesthetics. She opens up about redefining Muslim fashion, how K-beauty changed her life and what the West gets wrong about Arab women. "I didn't really feel like there were many role models for all the identities inside of me."